Why See Next To Normal? Starring highly acclaimed actress Ma-Anne Dionisio (Les Miserables, Miss Saigon), this exhilarating new production of the three-time Tony award winning musical, directed by Dora Award-winner Philip Akin, makes its way to the Mirvish theatre in 2019. With a thrilling contemporary score, Next To Normal is an emotional powerhouse of a musical about a family trying to take care of themselves and each other. In awarding the 2010 Pulitzer Prize for Drama, the Pulitzer Board called the production "a powerful rock musical that grapples with mental illness in a suburban family and expands the scope of subject matter for musicals." Next to Normal was chosen as "one of the year's ten best" by The New York Times, The Washington Post, The Los Angeles Times, Time Out New York, New York Daily News, The Bergen Record, and NY1! 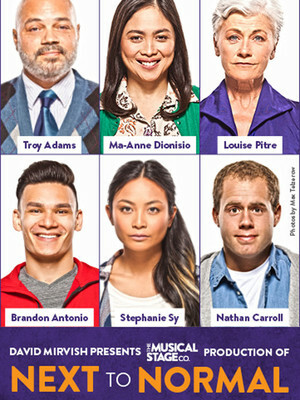 Richard Ouzounian of The Toronto Star called Next To Normal "one of the most exciting new shows I've seen in years". Sound good to you? 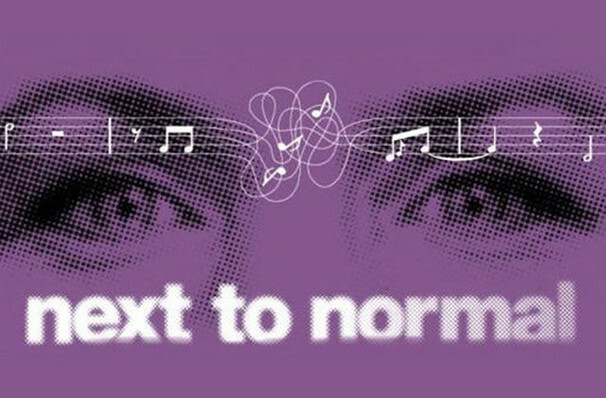 Share this page on social media and let your friends know about Next To Normal at CAA Theatre.